These public education events for March 2019 are open to all, but space may be limited. To reserve a spot, please register online at https://mgnv.org/public-education-events/vce-horticulture-programs-registration/. Come learn how to support our partner Arlington Food Assistance Center with fresh produce from your garden or community plot. There will be presentations on seed starting, composting, and lasagna & container gardening; exhibit tables on winter gardening and edible landscapes; and demonstrations of fruit tree pruning. Also free vegetable and herb seeds! Free. In sponsorship with Arlington Food Assistance Center (AFAC). 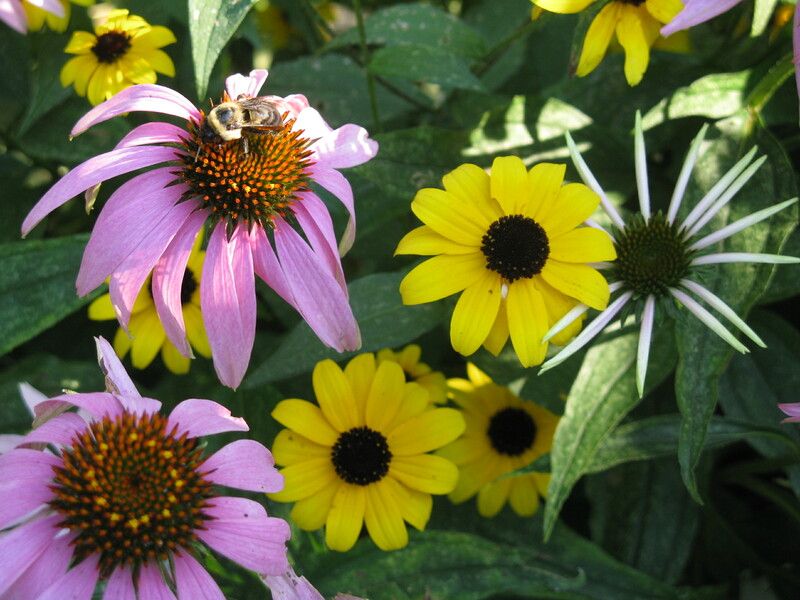 Sustainable Landscaping: Selecting Native Plants RESCHEDULED! There’s a palette of plants that is just right for you and that will thrive in your site’s conditions. Learn how to select appropriate plants for your site, what is meant by a native plant versus a cultivar, and some best management practices for installation and maintenance of your planting bed designs. This is the final class in a series on sustainable landscaping offered by Extension Master Gardeners to be held at Columbia Pike Branch Library in January/February 2019. Free. Advance registration requested at mgnv.org. Questions? Telephone 703-228-6414 or email mgarlalex@gmail.com. Saturday, March 9, 10:30 a.m. – 12:30 p.m.
Make your lawn a more environmentally sustainable part of your home garden. 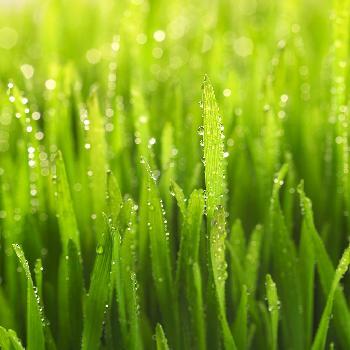 We will discuss the best types of grasses for our area, specific springtime turf management practices, nutrient management and soil testing, and basic pest and disease management. If, however, you’ve grown tired of the time and cost to mow, water, and fertilize your lawn, we’ll also discuss turf alternatives to the traditional lawn. 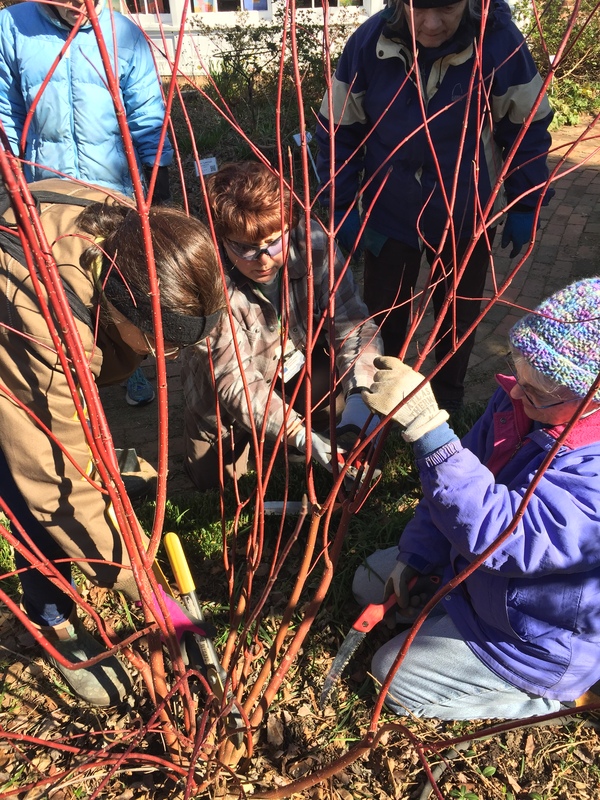 Coordinators at the Glencarlyn Garden carefully prune red twig dogwood in late winter to encourage the growth of young red stems. Sunday, March 10, 1:00 – 3:00 p.m. Ever wonder when you should prune your roses or boxwood? Come for hands-on training on the how, when, and why to prune hedges, multi-stem shrubs, small trees, and large branches. The results will be healthier and bushier growth, more (or less) flowers and fruit, and attractive landscaping. Bring your own tools, and remember to dress for the weather! Entire class is held outdoors. Free. 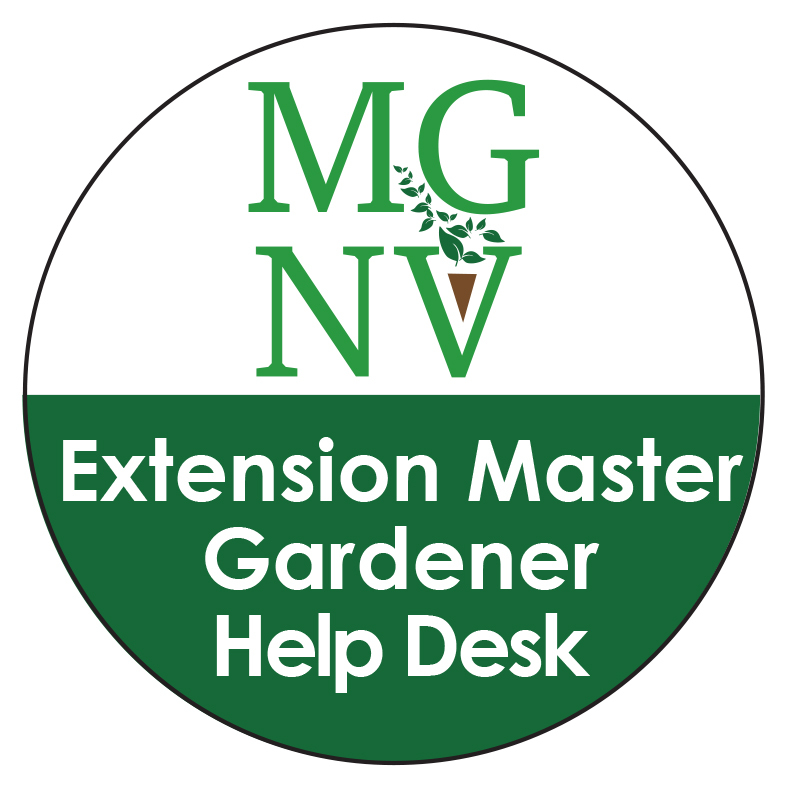 Advance registration required by March 7, 2019 at mgnv.org. Space is limited and we cannot accept walk-ins. Questions? Telephone 703-228-6414 or email mgarlalex@gmail.com. Tuesday, March 12, 7:00 – 8:30 p.m.
Do you fret about planting in a shady spot, worried that without sun the plants won’t make it? Come learn how to select native plants that thrive in partial or deep shade and are best suited for your soil conditions. We’ll discuss how to layer in natives with the plants, shrubs, and trees already in your shady yard and best practices for maintenance. 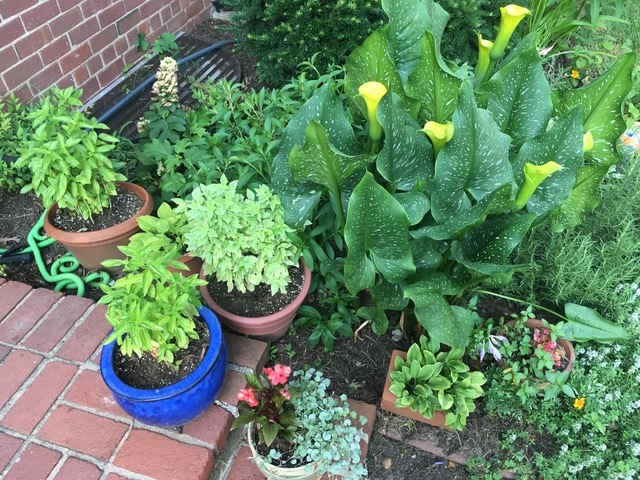 Saturday, March 23, 10:30 a.m. – 12:00 p.m.
Monday, March 25, 7:00 – 8:30 p.m.
Fairlington front garden: Callas, herbs & annuals in containers; native plants including swamp milkweed & oak leaf hydrangea. What’s the big deal about small gardens? Small gardens can yield big results in food production, color, function, recreation, and aesthetics. Knowing your goals is essential. Learn to identify your objectives for your unique small space; get ideas on maximizing your space, learn the steps to evaluate your existing conditions and the basics of choosing plantings that will both meet your goals and thrive. We will consider container gardening, balcony gardening, vegetable gardening, and small in-ground gardens. Tuesday, April 2, 7:00 – 8:30 p.m. Flowers and pollinators at the Glencarlyn Garden. Research has shown the importance residential gardens play in providing environmental support for wildlife. Learn which plants will attract and fill the needs of our native pollinators even if your garden space is limited to a small yard, a patio, or a balcony. 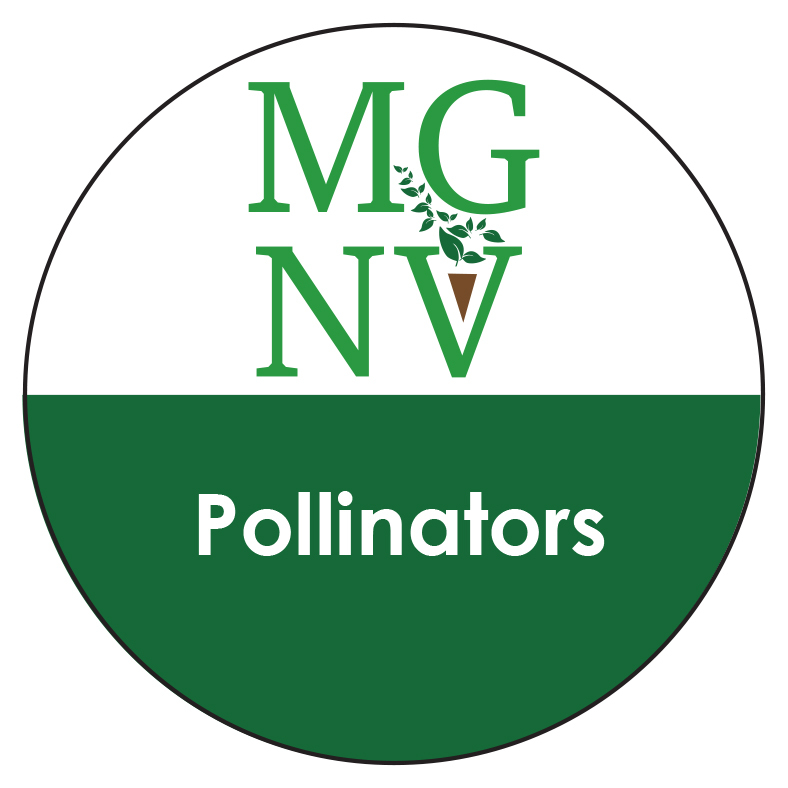 Best gardening practices for pollinators, and special considerations for designing and maintaining successful containers of native plants will also be discussed. The Arlington Central Library Plant Clinic will be open from 6:45 p.m. -8:45 p.m. every Wednesday from March 20 through October 23 and is located in the East Lobby of the Library, 1015 N. Quincy St. Contact us at 703-228-6414 or mgarlalex@gmail.com, or drop by to speak with our Help Desk volunteers. It’s best to call before you come to make sure we’re available. If you are a person with a disability and desire any assistive devices, services, or other accommodations to participate in this activity, please contact Arlington County Cooperative Extension five days prior to the event at 703-228-6400 or *TDD (800) 828-1120 during business hours (8 a.m.–5 p.m.) to discuss accommodations 5 days prior to the event. Virginia Cooperative Extension programs and employment are open to all, regardless of age, color, disability, gender, gender identity, gender expression, national origin, political affiliation, race, religion, sexual orientation, genetic information, veteran status, or any other basis protected by law. VCE is an equal opportunity/affirmative action employer. Issued in furtherance of Cooperative Extension work, Virginia Polytechnic Institute and State University, Virginia State University, and the U.S. Department of Agriculture cooperating. Edwin J. Jones, Director, Virginia Cooperative Extension, Virginia Tech, Blacksburg; M. Ray McKinnie, Administrator, 1890 Extension Program, Virginia State University, Petersburg. This entry was posted in Public Education Events and tagged AFAC, grow what you eat, microgreens, Plot Against Hunger, public education, selecting native plants, sustainable landscape design, Sustainable Landscaping, Urban Agriculture, Vegetable Gardening, water conservation. Bookmark the permalink.